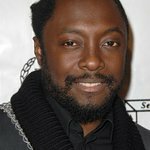 will.i.am created the i.am scholarship to provide future leaders and innovators in Film & Television, Journalism, Computer Science and New Media with financial assistance for the entirety of their post-secondary education, as well as professional opportunities at Dipdive.com upon the completion of their course of study. More than just financial aid, the i.am scholarship is an investment in our future. We know our children need an education — and not just a high school education. In order to make significant contributions to our society, most of our children will first need to complete college. Google trends for "i.am scholarship Fund"
We don't have any videos related to i.am scholarship Fund.